Unlike the mere random nature of slideshows, 'picturestories' can be visually interpretted in many different ways. It's up to personal imagination & headspace to read into them what you want, create your own storylines ... 'see what you see'. At the heart of Bundjalung territory is Wollumbin, the remnant core of an ancient shield volcano later named by Captain Cook as Mt Warning. A Gumbaynggir elder, Wiruungga's family is also of Bundjalung heritage, so Wollumbin is a treasured songline. 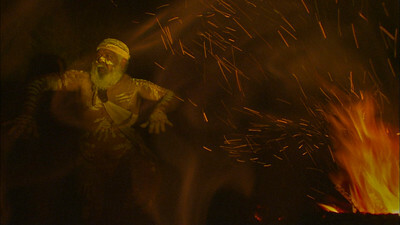 In performing his bat dance Wiruungga enters bat dreaming to meet his totem and learn more about them. 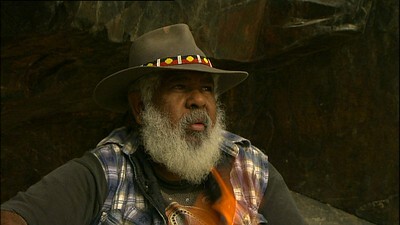 Totems are Wiruungga's guiding lights, the inspiration behind paintings telling of his journeys & learnings. 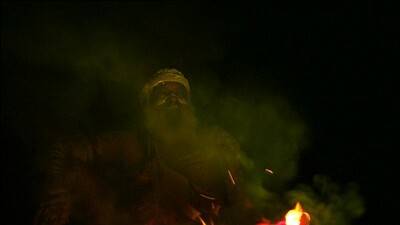 In his 'new world', Wiruungga dreams of earth-sea-sky and the animals & plants that are integral to his being & dreaming. His totems guide him to songlines, watch over and protect him, connect him with life, death & afterlife.